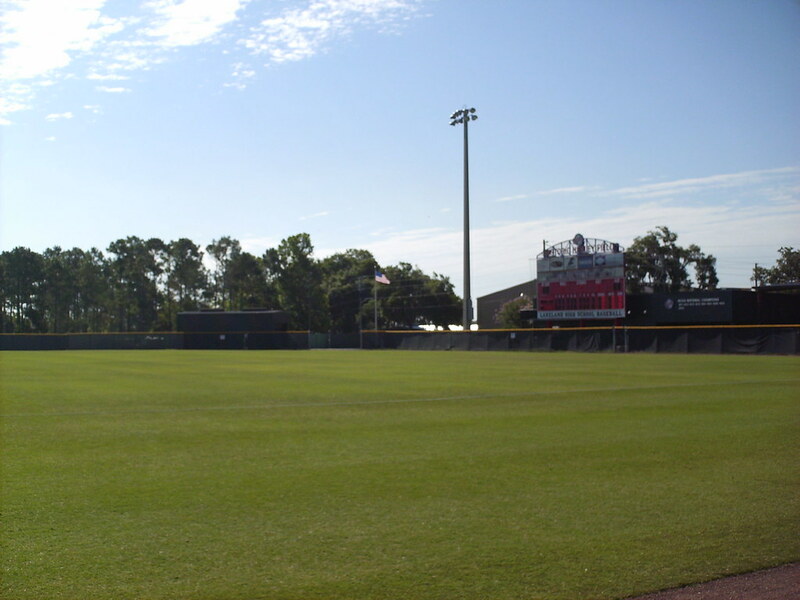 The view from behind home plate at Henley Field. 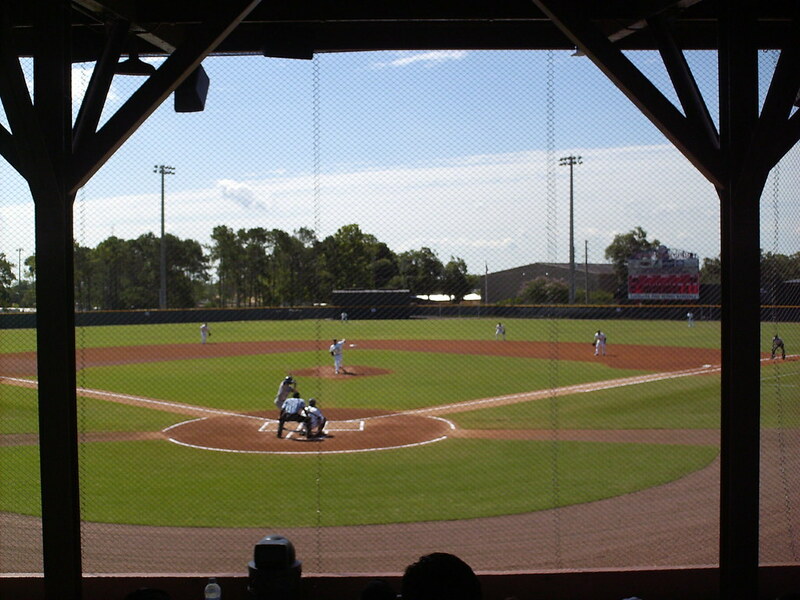 The grandstand at Henley Field, as seen from the left field corner. 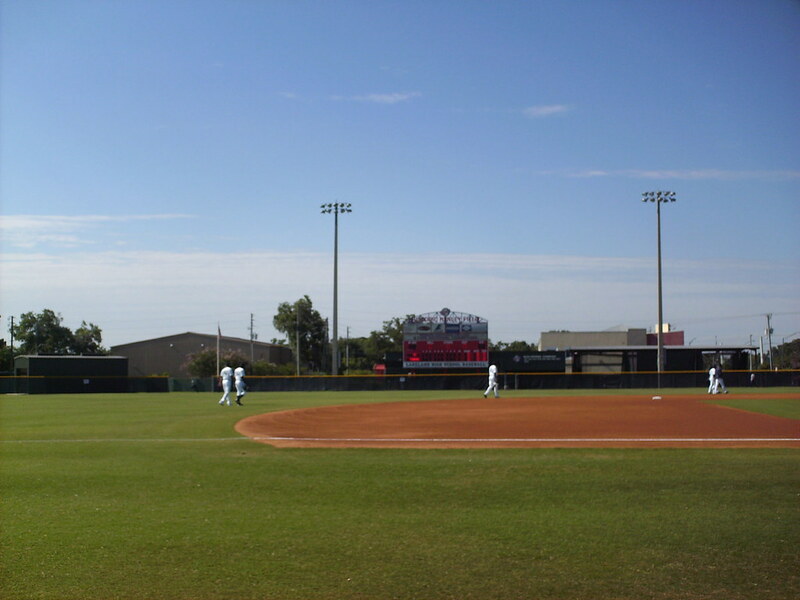 The park was built in the 20's and hosted professional baseball into the 60's. 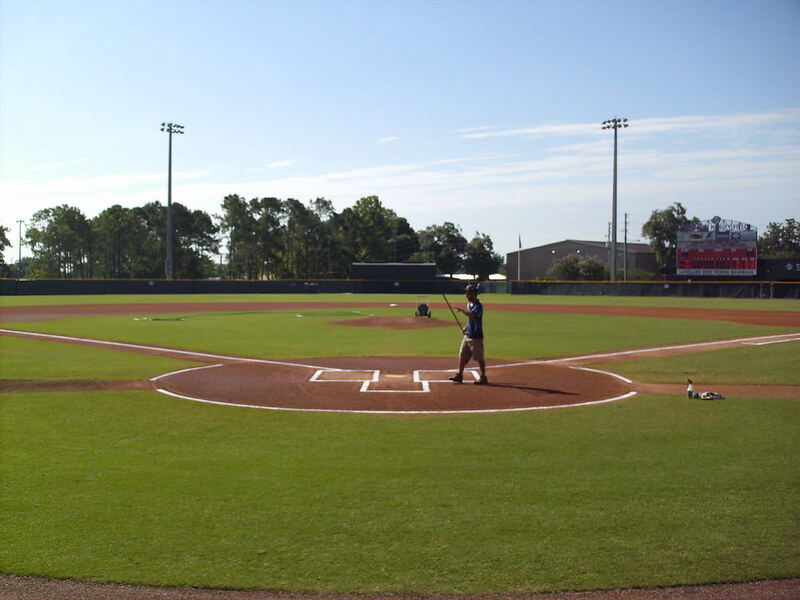 It is now mostly used for high school and college baseball. 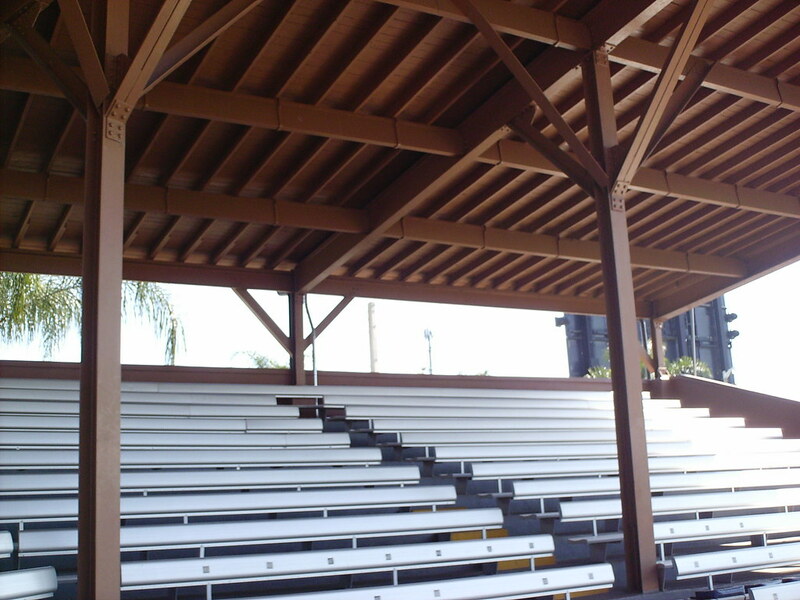 The grandstand seating is entirely aluminum bleachers, with poles between them to support the wooden roof. 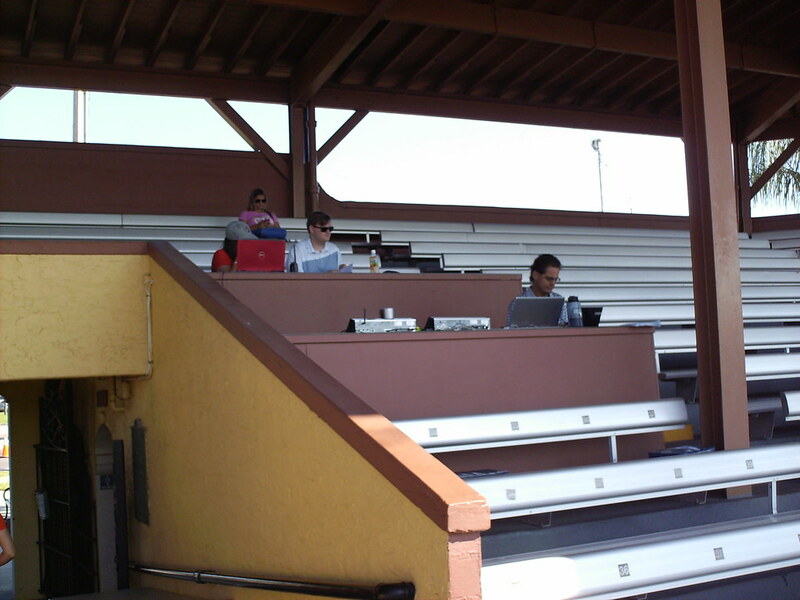 The pressbox is just wooden desks built into the seating bowl, meaning the announcers are just feet from the fans throughout the game. 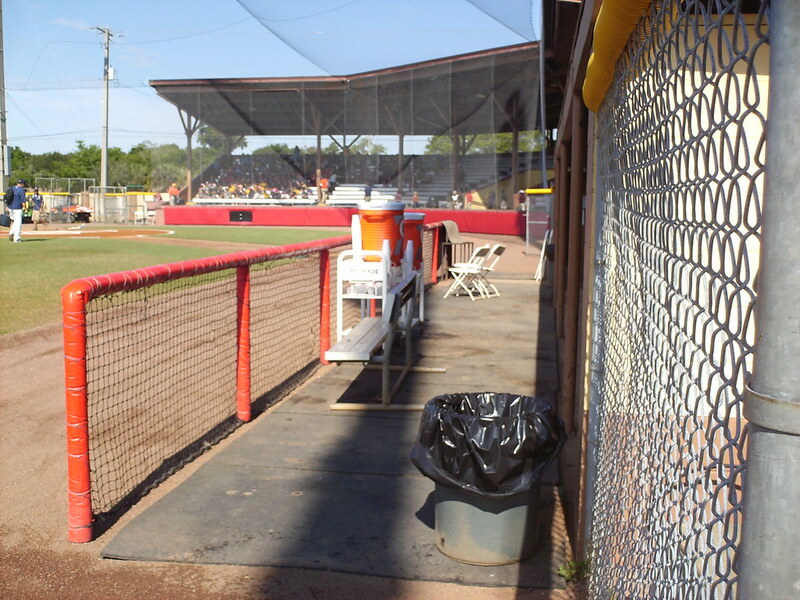 The grandstand features a wide aisle in front of the seating, and a chain link fence instead of netting attached to the backstop. 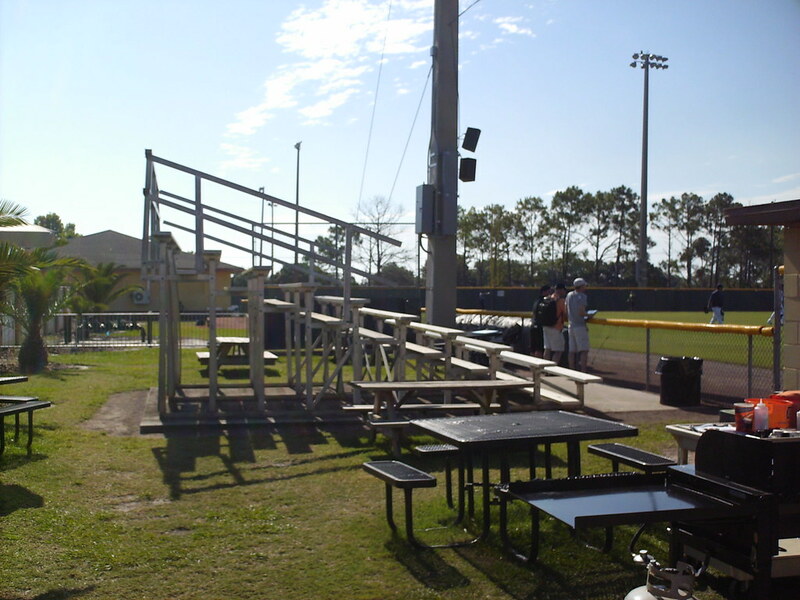 Additional seating is offered in aluminum bleacher seating down the third base line. 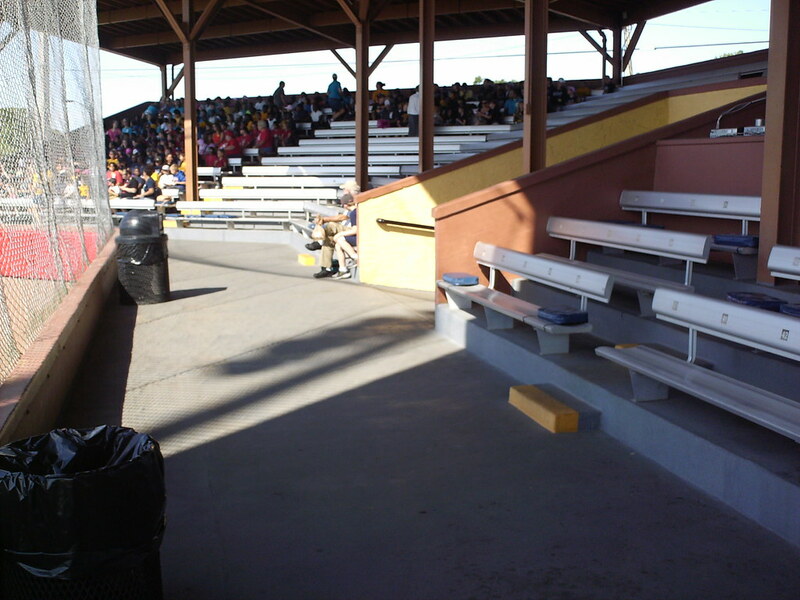 A smaller bleacher section is also located down the first base line. 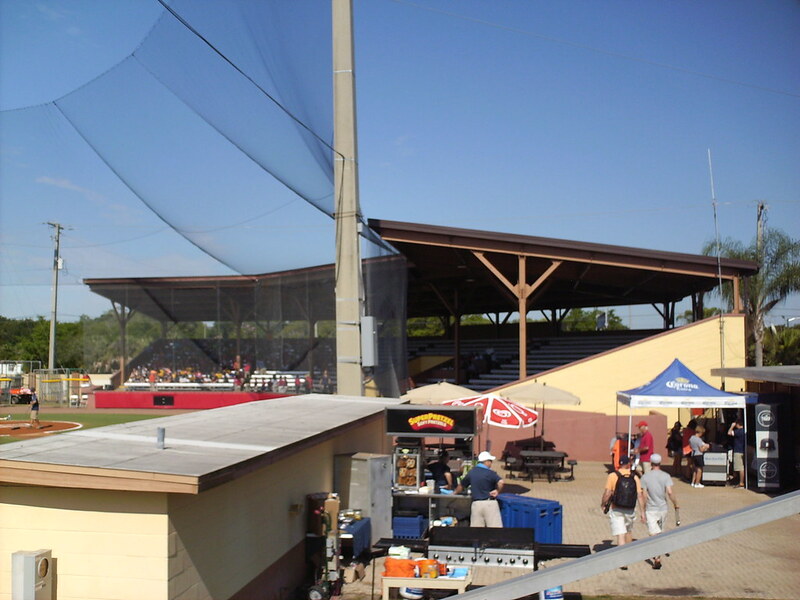 A net above the dugout protects the busy street beyond the ballpark from stray balls. 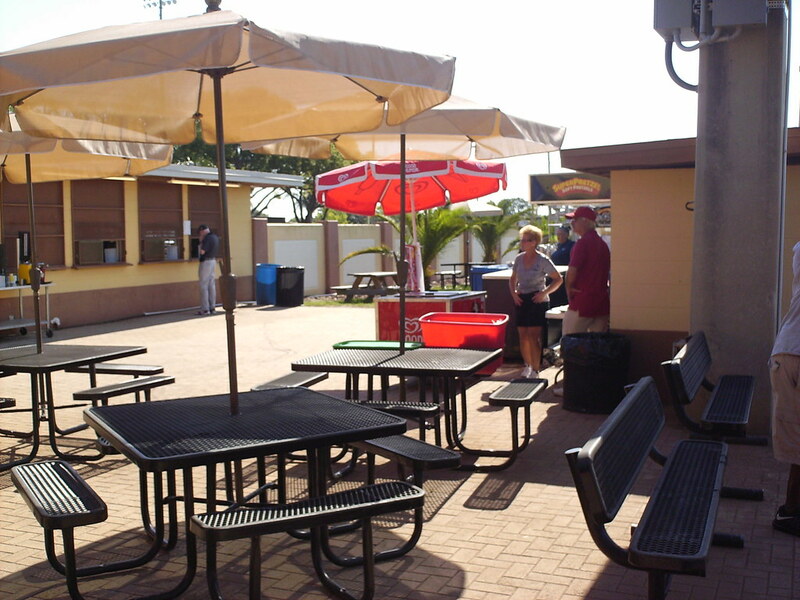 Picnic table seating and concession stands are located behind the third base dugout. 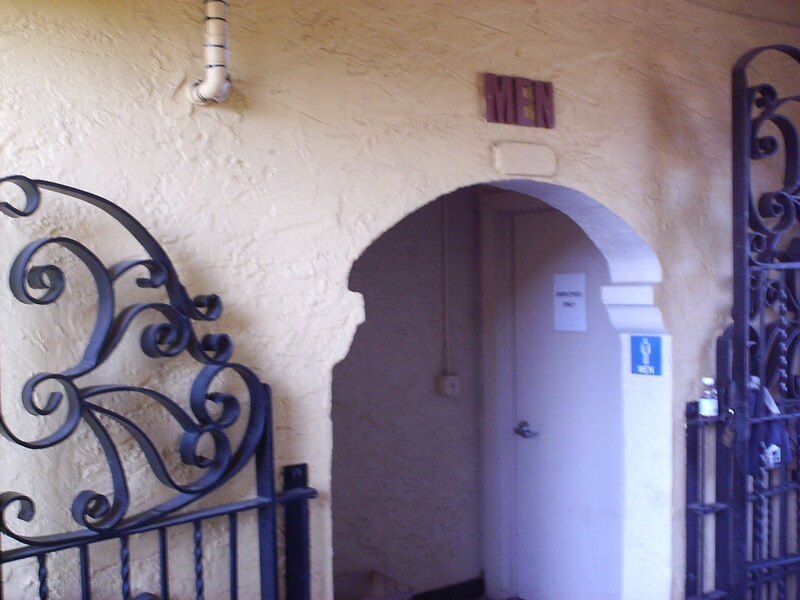 Spanish Mission style gates and entryways underneath the grandstand at Henley Field. 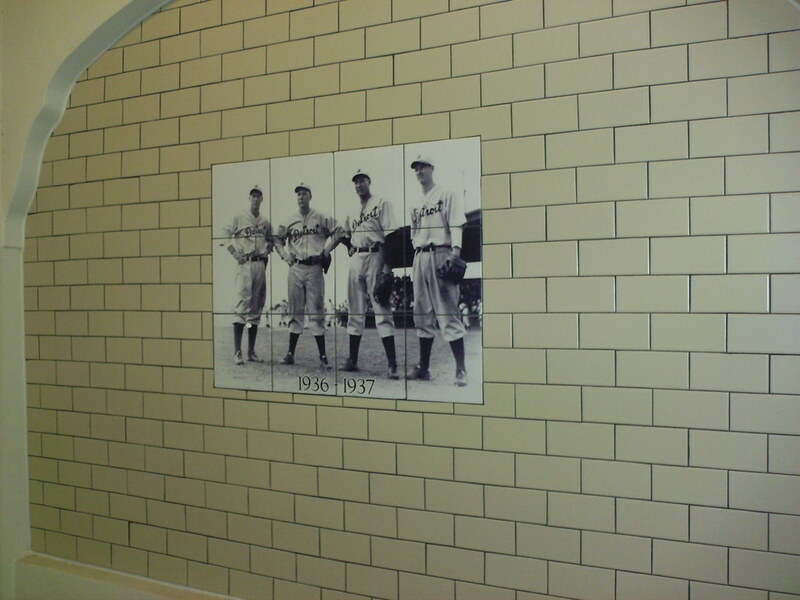 Murals along the concourse and in the restrooms depict former Tigers teams who trained at Henley Field until Joker Marchant Stadium was built just down the road in the 1960's. 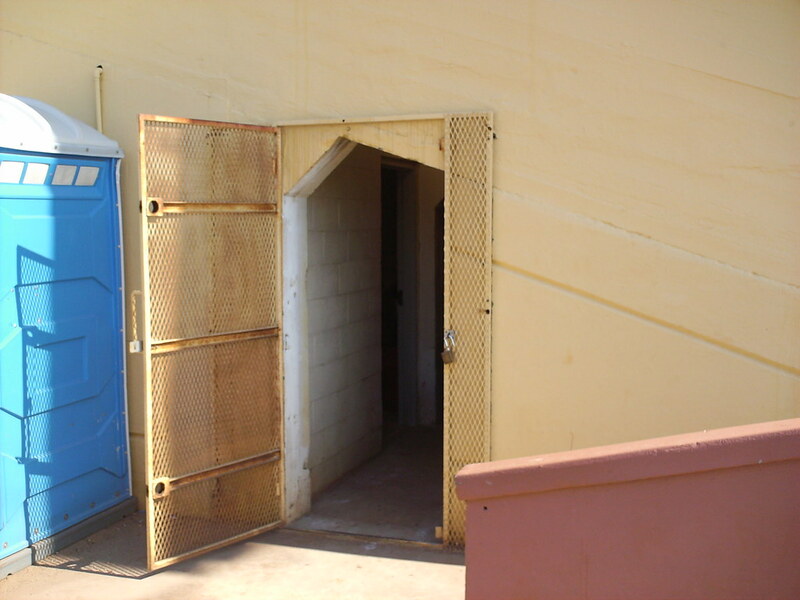 A door to the groundskeeping storage area is cut roughly into the concrete grandstand. 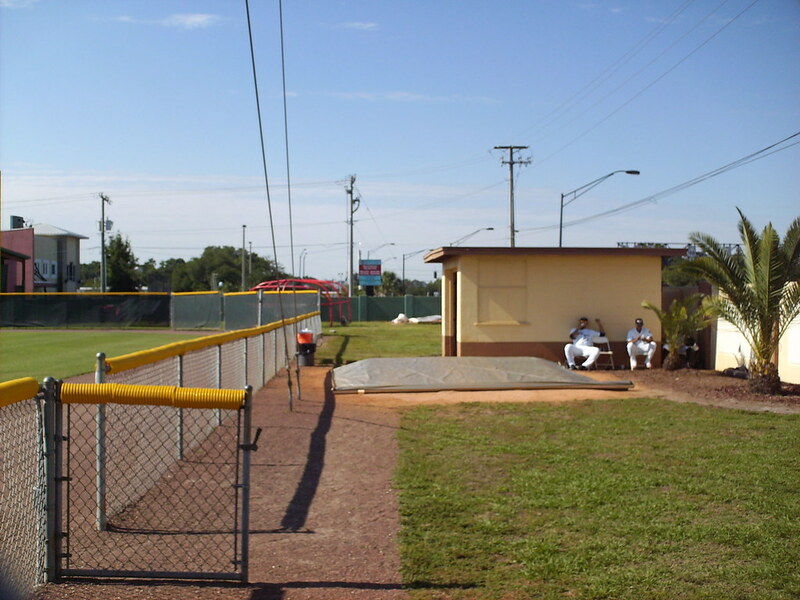 The dugouts sit above ground next to the historic grandstand. 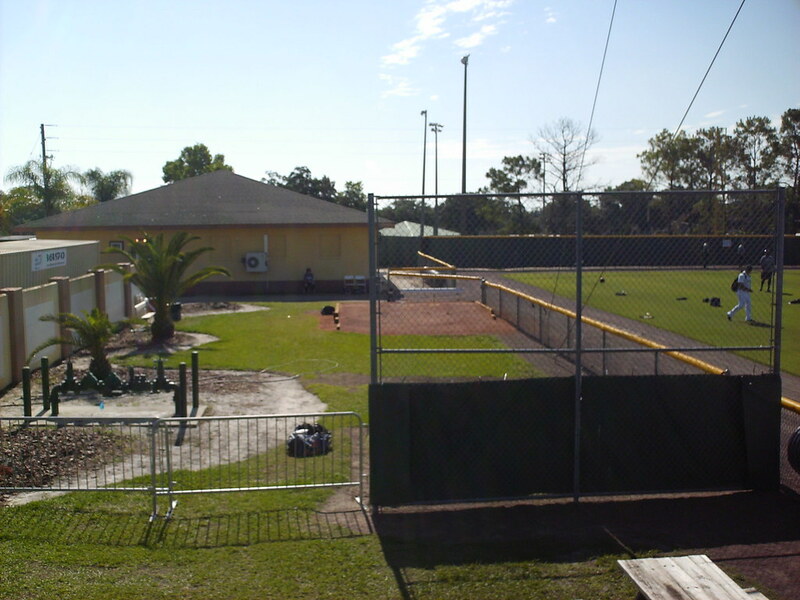 The clubhouse and visitor's bullpen in the left field corner of the field. 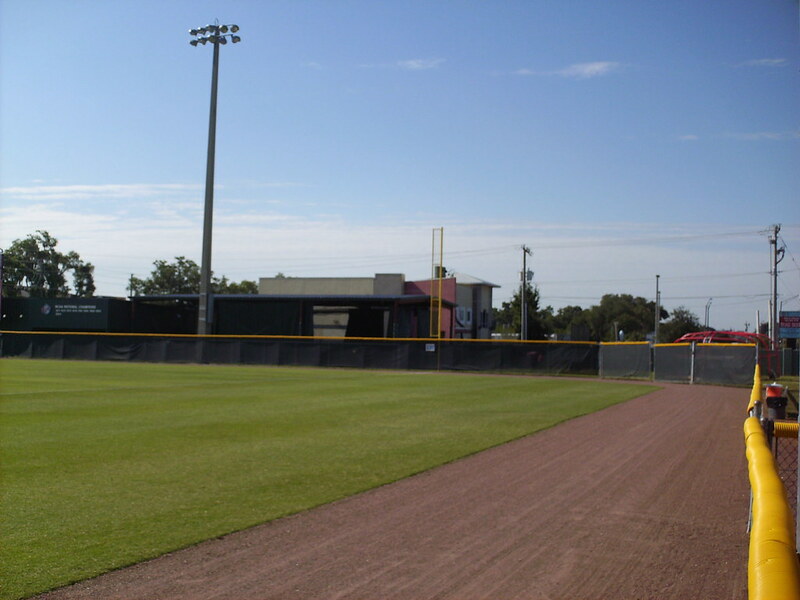 The outfield wall, with batting cages behind the right field fence. 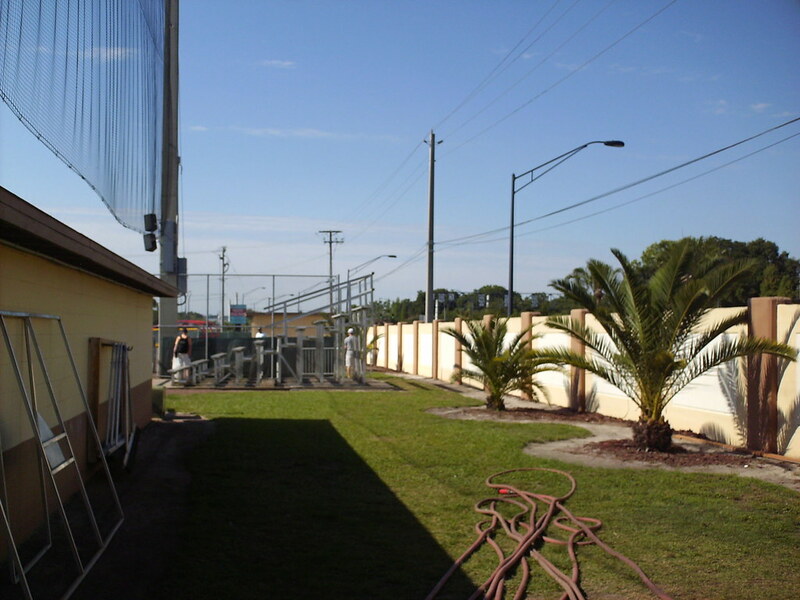 Henley Field's original concrete outfield wall still stands, and is visible beyond the current fence. 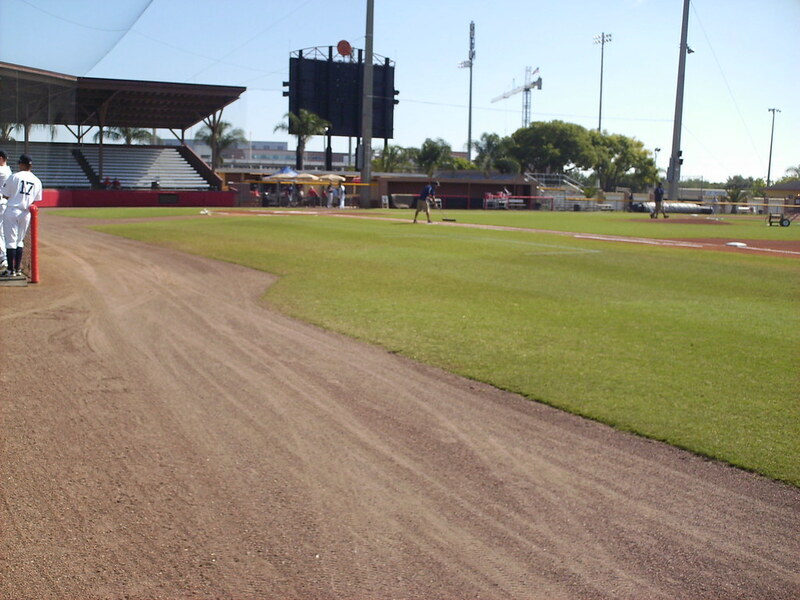 The park features large expanses of foul territory down each line. The scoreboard sits behind the fence in right center field. 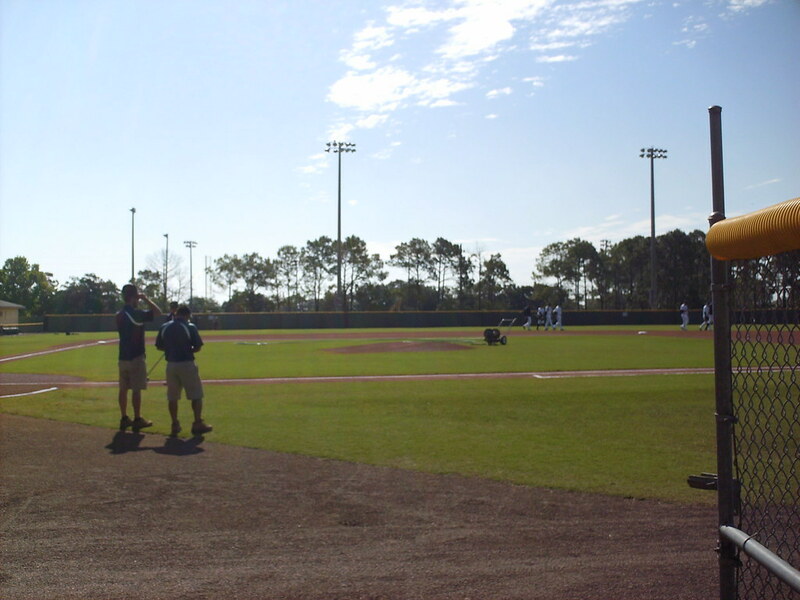 The Lakeland Flying Tigers on the field during a Florida State League game at Henley Field. 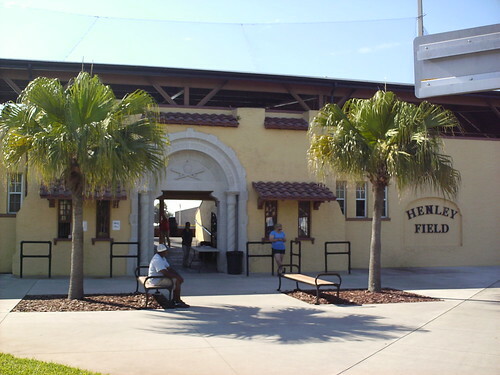 The Flying Tigers played their 2016 season at Henley while Joker Marchant Stadium was being renovated, only the 2nd time pro baseball had been played here since the 1960's.